Custom fit VO deliverables for your next production can be easy, actually. Whether you need an experienced director to join in at your existing studio facilities for only one hour, or have no idea where to even find voice talent in a large multi-city casting and recording production, we pretty much do it all. We work in whatever city you choose. 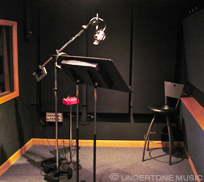 For our many Minneapolis sessions, we are pleased to work with the experts at Undertone Music's world-class studio. After a phone call and a couple emails, we set up a schedule and a work pipeline that’s custom fit for your particular job. Then, under your creative direction, we deliver whatever you ordered from the menu.